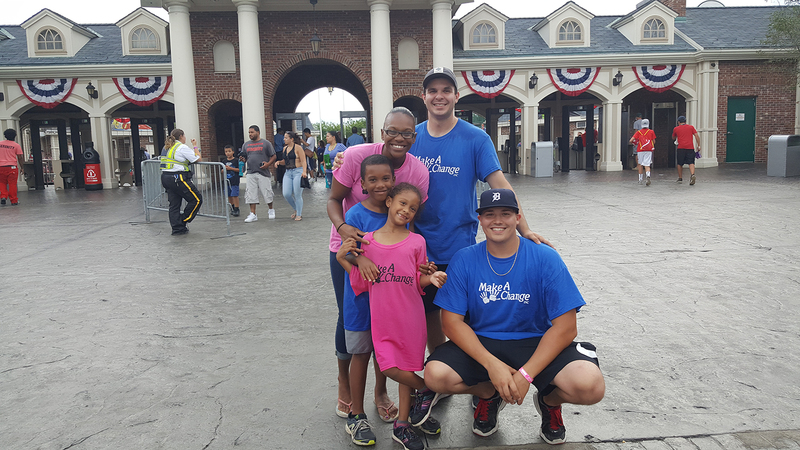 Making a Change at Six Flags New England - Make-A-Change Inc.
We had the incredible opportunity to be a part of Brittany Nicole and her kids life on August 20, 2016. Brittany in the past few years has lost a boyfriend tragically over a gaming system, then the kids father decided not to be apart of her kids life, followed by a relationship that had unexpected domestic abuse. Brittany feared for her and her kids life so she left everything and moved from Georgia to Connecticut. While living in motels, living rooms, and hotels, Adam Ingalls helped her get into a shelter in Massachusetts and started a GoFundMe for them. This is how we found out about them and decided to be apart of their life. 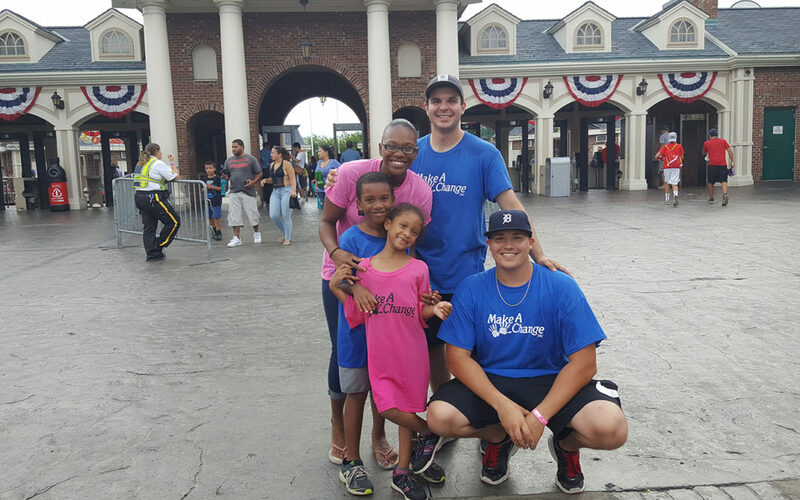 Jonathan and Edalia are two of the sweetest little kids in the world, and we had the pleasure to take them to Six Flags New England. Brittany said this was the first time they have ever done anything like this and Jonathan said we changed his life! When we got the kids Pokemon toys their faces lit up like a christmas tree. Brittany thanked us and said that what we did for her and her kids encouraged her to have faith again and to keep pushing on! Edalia likes Shopkins, Pokemon, Hello Kitty, My Little Pony, and arts and crafts. Jonathan is an amazing drawer and wants to get into baseball and tennis. He loves Minecraft, Pokemon, and remote cars/planes! They ended the night asking “When do we get to see you again?” Absolutely amazing.